From the onset, let us just get it out of the way now that Vol’jin has not returned. Last we saw, he was passing on the Warchief mantle to Sylvanas and was on his way to hang with the Loa. Why? We’re honestly not really sure. The mantle of Warchief and the fallout of it played next to no major part in the overall Legion story. Khadgar and Illidan basically ran the show and we got to tag along. Anduin becoming king was a much bigger development and had more depth to his ascension. With the Banshee Queen she vowed to avenge Vol’jin and that was that. It rallied most of the Horde. And then Genn broke her nightlight. But this isn’t about Sylvanas today. The focus is on the Warchief we barely had. When Vol’jin took over as leader of the Horde at the end of Mists it was an excellent moment and well developed (given all the crap he went through). Plus, it was the choice most players seemed to agree on after the whole Garrosh mess. Warlords came and we went back in time (in another time, no less) and left Vol’jin in the present. So he basically relaxed while we were gone. Then we came back and he died almost immediately. If that doesn’t leave a bitter taste in a person’s mouth, I don’t know what does. At this point, we’ve established that him passing on the mantle to Sylvanas before he died (from a spear…) accomplished nothing. It has lead to nothing. But giving the benefit of the doubt, surely there must be a reason this took place and the writers have that mapped out for the next expansion. Those were Vol’jin’s words to the Forsaken leader as he died. Well, so far it’s been all the Mary Sue’s of Azeroth that seem to be doing the saving. Thrall, Malfurion, Illidan, Khadgar…heck, what has transpired to qualify as the Horde’s “darkest time?” Again, nothing. At least on the Alliance side, they lost their actual king. So is something coming in the next expansion? It has to, otherwise what’s the point. There’s no disputing how fond I am of the Sylvanas character, but what had great potential has been underwhelming for an entire expansion because nothing was done with it. So in the next expansion something has to happen, as I just mentioned. But what exactly would it be? Well, I still believe Vol’jin wasn’t necessarily talking to the loa at the time of his death. With the potential involvement of N’Zoth in the upcoming stories, part of me wonders if it was actually the whispers of an Old God that convinced Vol’jin to choose the successor he did. And if that’s the case, what else has the Old God been up to? I’m thinking much, but that’s a story for another day. But there’s definitely been manipulation going on. So as a result of that, our something major happening to the Horde should come from that source. And that’s where I see the proverbial prophecy coming true with Sylvanas. I don’t think she’ll directly save the day. I think she’ll bring back Vol’jin to do it. Hear me out. First off Vol’jin wasn’t burned like most trolls are when it comes time for their funeral. 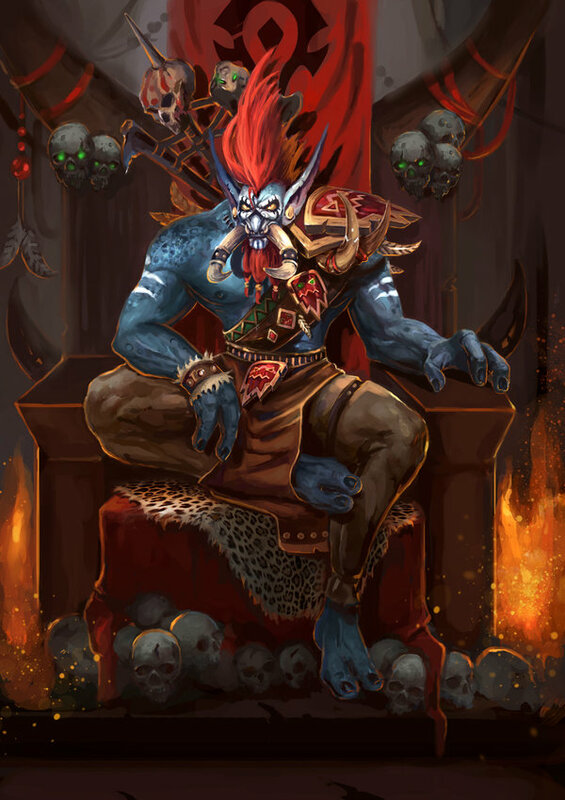 Also, it wouldn’t be the first time Vol’jin came back from the dead (read Shadows of the Horde if you haven’t already). So at this stage the window hasn’t been closed yet. Not to mention, any time anyone asks who the leader of the Darkspear Trolls is the answer is more or less circles around Vol’jin. While I love Sylvanas, she is not going to be Warchief for long. I think it’s great from a fanboy perspective, but all wrong from a somewhat realistic perspective. As pointed out, no one trusts her…and she has done nothing in this expansion to change that. She always has her own agenda, sometimes even revolving around her people. Windrunner is a great advisor or council member but she shouldn’t be leader. As far as Vol’jin goes, again, he was never really Warchief. Garrosh was spared. That’s pretty much all he did. So are we just going to thank him for getting a Garrison? Seems very underwhelming. He was also the most respected of the Horde leaders. Even the Alliance held him under high regard. So you have his own people, his enemies, and the players all pleased with a leader and he was gone in a breath. Blizzard has even recognized the fans were not at all happy with this and it seems early on that some of the content that was written was done so based on Vol’jin just going MIA again and that clearly did not happen this go around. As for the how or the why she brings him back, the circumstances could be one of dozens. Again, I think something or someone is going to push the Horde to the brink of disaster under Sylvanas’ reign and all the distrust she has earned will make it impossible for her to overcome. Instead, she’ll bring back Vol’jin as a beacon for the Horde because she knows they’ll rally behind him and that will be the “darkest hour” rescue. How she does it could be simple. A bargain with Bwomsamdi. Performing another act like she did with Nathanos Blightcaller. Eh, that one seems less likely. Doubtful the Trolls would be happy about that and the Forsaken don’t seem keen on bringing back non-humans. Faction Divisions: Are They Necessary? I never played the original Warcraft RTS games. To be honest, I would go so far as to say more than half the game’s population would say the same thing. A good percentage have also come in during later stages of the game. Maybe Burning Crusade when Demons were the focus, or Wrath when we were going after the Lich King. Possibly even this expansion. Regardless. Once you’re in the machine, you know full well it’s Horde versus Alliance. Is it really? Mists of Pandaria was used to re-establish the line in the sand between the Alliance and the Horde, but that last for less than the whole expansion since we were working together again by the end in an effort to deal with nutjob Garrosh. Warlords was all about the orcs…the evil ones, not the Horde ones…and now Legion has been all about pushing them back. Yes, there were some cracks in the foundation (namely the scenario by which Sylvanas leaves with Vol’jin and pulls back her troops) but there is almost nothing that can’t be fixed (save for Greymane and Sylvanas of course). Aside from the PvP Battlegrounds, and servers, there is nothing that constitutes “war” anymore. That the Alliance can understand the denizens of Highmountain, but not a Tauren, and the Horde can understand the elves of Suramar, and their own Blood Elves, but not a Night Elf is…well, silly at this point. Why can’t the two sides communicate in a general sense? Furthermore, we work together through every major bad guy in each expansion…but not at the exact same moment? Because the game wants suspension of disbelief in that you fight the fight together but when it comes down to the boss(es) you’re suddenly in parallel worlds or only one side is really doing the work. At this point, there’s no reason we can’t have mixed raids. None. But that’s as far as it needs to go and you can’t easily get around it with the purists (for whatever reason) and have an optional filter to not group with the other faction. But at the end of the day if we can work together so much in the story, we should work together in the game. Heck, we are already sharing class houses. Now I wouldn’t go so far as to say Guilds or the like. 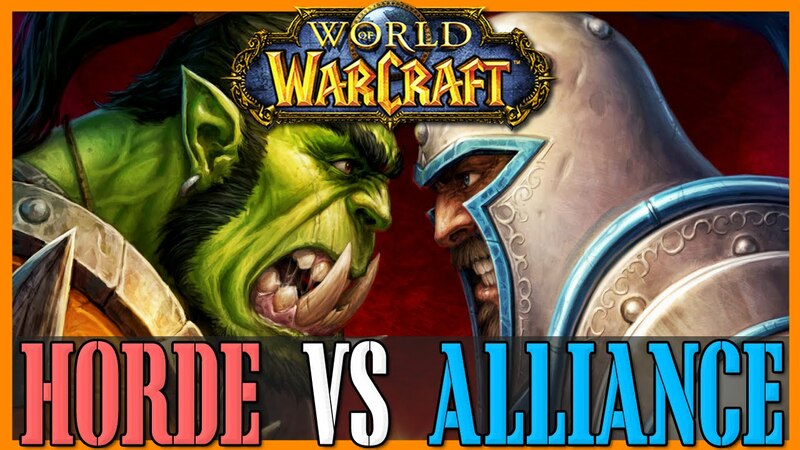 It doesn’t need to go to that extreme and obviously BG’s would be exceptions, but unless Blizzard tries to once more (and for much longer) restore the division between the Alliance and the Horde in the next expansion, the point really is lost at this point. Last week was quiet for posting. To be honest, aside from running Tol Barad dailies, I really wasn’t on WoW all that much. 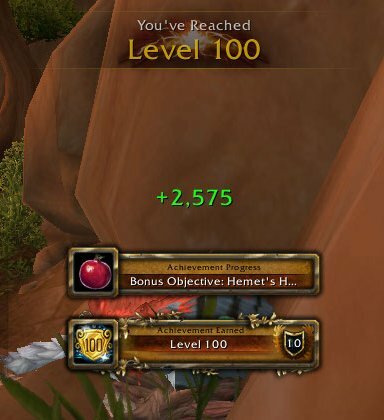 Instead, I was indulging in WoW, and I’ve done that a lot recently. I had gone back and read Shadows of the Horde because the last time I tried picking it up I just could not get into it. I think it was because I had read the fourth book in A Song of Ice and Fire and I just had my fill of slow reads for a while. But this time around I got through it (last week actually). I then realized I hadn’t read Arthas, which has also been sitting in our catacombs. Conveniently enough I was in the final third of the book when War Crimes came out on Tuesday. Needless to say, it’s done too. So three of the books in two weeks gave me an opportunity to switch gears in writing and instead provide my thoughts on each book. I’ll do so, over the next three days, beginning with Voljin: Shadows of the Horde. The only one of the three not written by Christie Golden, Shadows is a very…interesting book. That’s not to say Michael Stackpole did anything wrong with the book or the characters. It’s just something very different than perhaps what I was expecting from a Warcraft novel. I think we’re just accustomed to a great deal of war, specifically the action and physical/magical side of it. In Vol’jin’s story, there isn’t a lot of that. It isn’t to say that it’s not there, it just builds later in the book and subsequently arrives even later. The story picks up with someone calling on Chen when a body show’s up in the river. It’s that of Vol’jin, essentially detailing the events following the Dagger In The Dark scenario that players would be familiar with. He ends up at the Shado-Pan Monastery and the book chronicles his recovery, which includes a Human Hunter he not only befriends, but eventually fights alongside. The story really involves the two of them (and Chen as a secondary layer) and focuses on the emphasis of balance in one’s life. Yes, there is some combat in the book as I eluded to before. 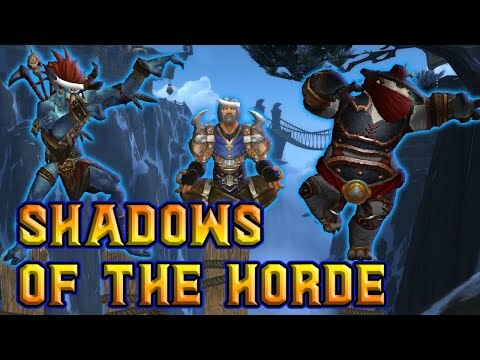 A Zandalari invasion tied in with the Thunder King is countered by Vol’jin, Tyrathan (the human), and many of the Shado-Pan. Throughout the story, though, Chen, Vol’jin and Tyrathan deal with balancing their spirituality as well as carving out their true identity. The idea is who you were prior to the moment isn’t as important as determining who you want to be from that moment forward. The reason I said Shadows of the Horde is an interesting book is because it takes the reader through an interesting story but leads one to do some reflecting on our own life. The moments of battle do deliver in the proper Azerothian sense, but there’s a long journey to get to it as it is part of Vol’jin’s journey towards his physical and spiritual recovery. And it’s not just his either. It was refreshing to see an angle of Chen where he isn’t just the happy-go-lucky Pandaren all the time. You see a different side of him during this adventure, though it’s still second to Vol’jin. And yes, there are some great “buddy cop” moments between Vol’jin and Chen, and Vol’jin and Tyrathan. If you’re more of a Tides of War and The Shattering type of reader, this may be a slower style and story than what you prefer. If you want something a bit different or even just want to know more about what happened between the attempt on Vol’jin’s life and him becoming Warchief, this paints a solid window of that. While I think it’s the weakest of the three books I’m talking about this week, that doesn’t mean it’s bad. It’s more of a testament to how good the other two are. When it comes to her name alone, it’s like someone’s saying “MUFASA!” I can’t even describe how I just instantly *clicked* with the Banshee Queen. We’re talking at first glance. No lore knowledge, no nothing. She was just a character that had that “it factor” from the beginning. However, after I began to learn more about her I was just infatuated with the character but not in any sort of grandiose fashion. Except for the part where I would love the Sunstrider Longbow. That’s legit. But getting the fanboy part out of the way, it makes sense that I was drawn to Sylvanas as vengeance driven characters have always been among my favourite. Two of my favourite comic books are Ghost Rider (please don’t use the movies as a reference), and James O’Barr’s “The Crow.” In the case of Sylvanas, she kind of got the back from the dead treatment that no one would want. In the case of The Crow, Eric Draven is brought back to avenge the murder of he and his fiancee a year earlier. In the case of Sylvanas, she’s brought back from the dead as the first High Elven Banshee. You see, Arthas was pretty annoyed at having to fight the Ranger-General at almost every turn. So after he slayed her with Frostmourne and she asked for the quick death she deserved, he instead brought her back right after she died. Unfortunately for him, he would eventually lose control over some of his undead, she being the most prominent one. So raising the Forsaken and becoming “The Dark Lady” it was Sylvanas’ post-life existence to track down Arthas and kill him. There were twists and turns along that road, but we all know how Wrath turned out. After confirming Arthas was dead, the Banshee Queen was actually at peace enough to end her after-life until the Val’kyr played “It’s A Wonderful Life” on her and showed that Garrosh would have a field day sending the Forsaken in as glorfied suicide bombers in any particular fight. So, she continued on, and it’s in that time that she’s been one of those characters that really makes you think DTA: Don’t Trust Anybody. It’s incredibly clear that Sylvanas will put the protection of her people (or even race, as she sees them) before anything else. That’s the kind of thing people tend to appreciate from their leader. She’s even gone so far as to find a means of extending the Forsaken population through her arrangement with the Val’kyr (keeping herself alive in the process). But she also blatantly ignored the warning to stop using the plague. Southshore is evidence of that, as is the Battle of Gilneas. Which, makes you wonder what her true agenda is? She clearly had no use for Garrosh and no one can blame her for that…but she didn’t exactly give Vol’jin a ringing endorsement either. I hazard to guess the only Warchief she truly would have responded to would have been Lor’themar, which makes sense given the High Elf connection. But he’s not and that’s where the mystery is. You really do not know what to expect from Sylvanas Windrunner now. It could be passive. It could be chaos. It could even be malicious. Honestly, I just don’t care because what has already been done with the character has given me more than enough reason to care what she does and quite often cheer for her when she does so. Doesn’t matter if it was right or wrong. Does that make it “right?” Maybe not. But not everyone roots for Batman. Some of us cheer for The Joker sometimes, too.